So I was watching my aquarium today and noticed that my emerald crab was half sticking out of a rock and not really moving. I stuck some tweezers in to try and catch it and I saw that something else was dragging it back into the rock. 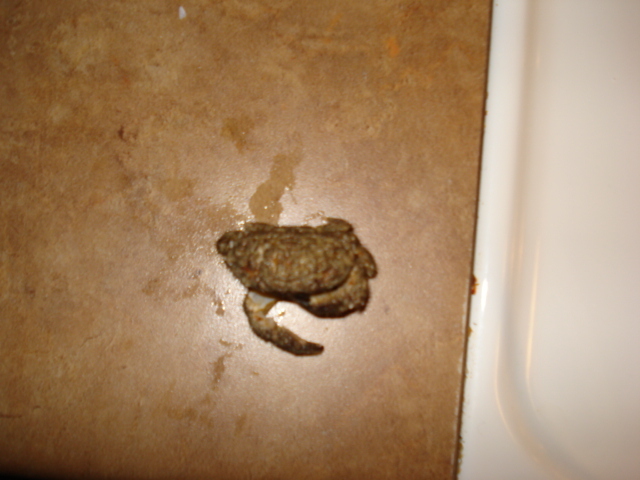 I took that rock out and found another crab inside. 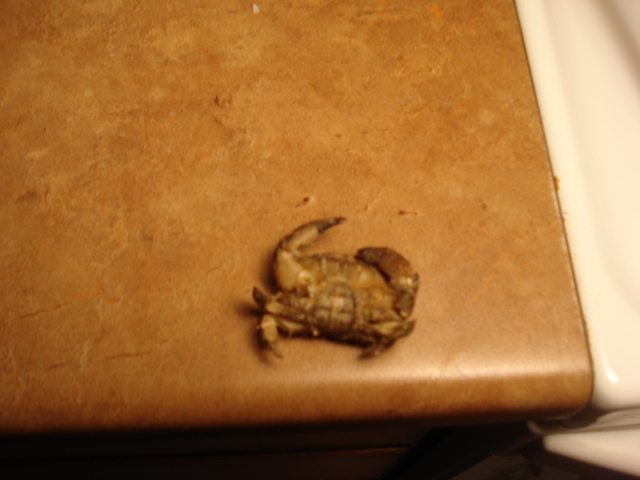 I'm not sure if this crab killed the emerald crab but I have had a few fish and other things that have gone missing in the past...is it possible that this guy killed them? 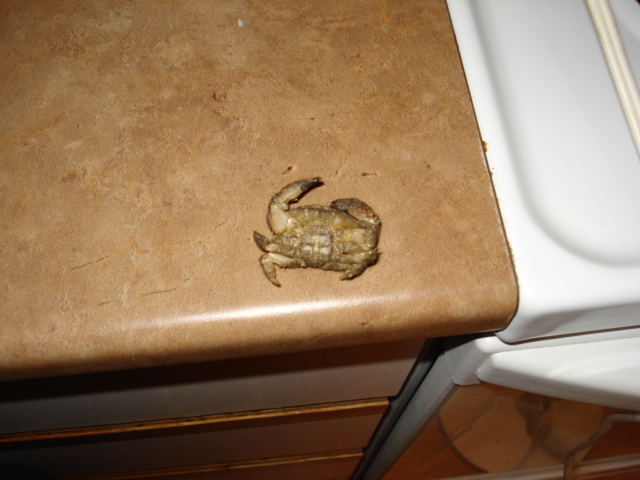 usually.. pincers like these are meat eaters.. and another trick is the color.. black pincers are usually predator crabs. He'd make a great sump scavenger. i can't give you an ID but if there is any doubt at all throw him in the sump or give him to someone with a mantis shrimp. he looks like he could kill ( pointy claws ) and i wouldn't tank any chances. no ID here either but like the others said, sump pet. same... doesn't look good... I would get rid of him.